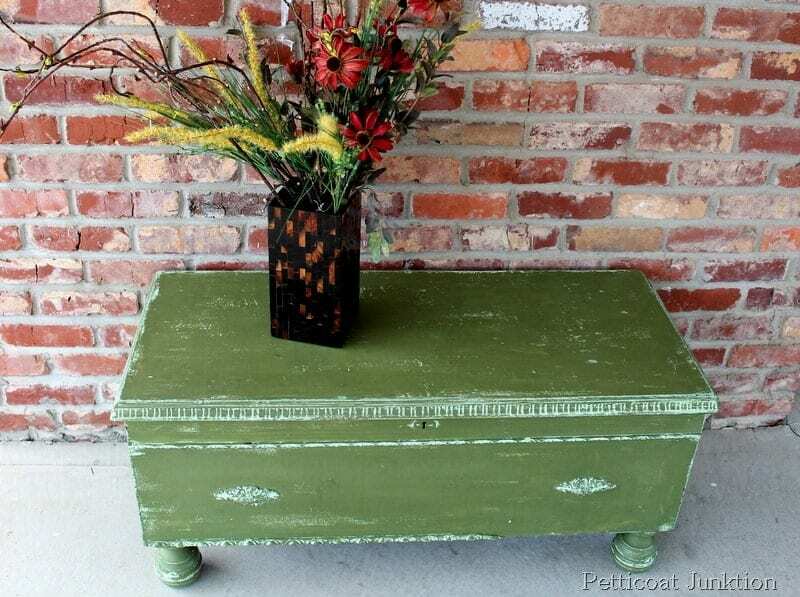 This Miss Mustard Seeds Milk Paint Project turned out perfectly. The paint chipped in just the right places. 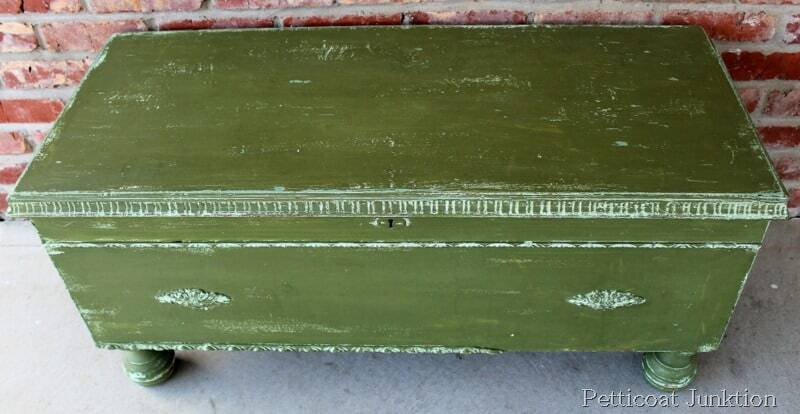 The Boxwood is a pretty color and the layer of paint underneath was a pale green so the contrast is beautiful. 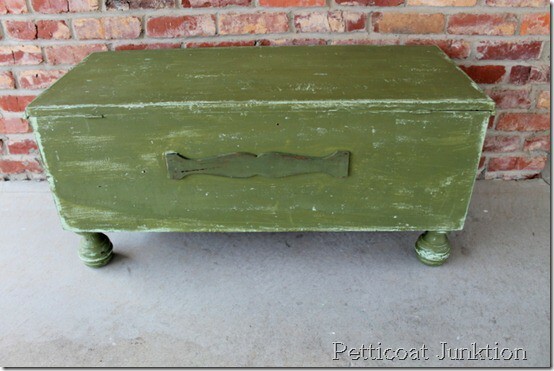 I did a post last week on my Boxwood Cedar Chest and I promised to give you some tips on how to achieve this look. 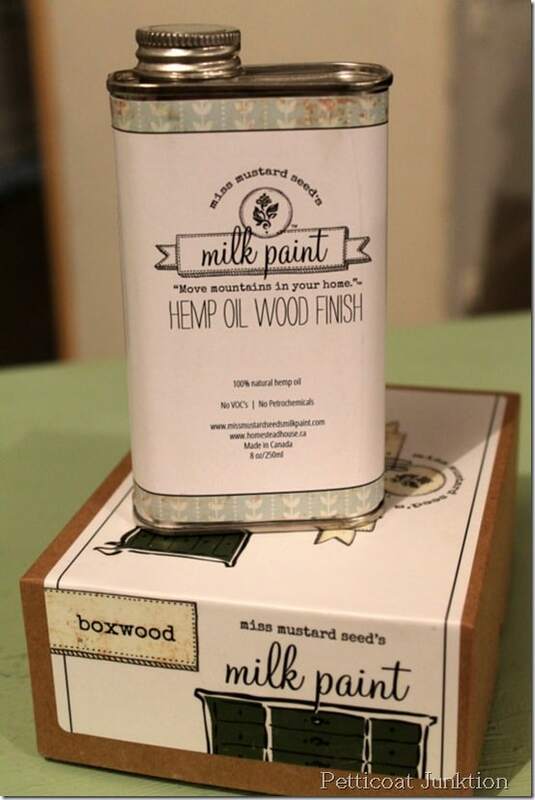 Miss Mustard Seed’s Milk Paint comes in powder form and is mixed with water for painting furniture, cabinets, decks, fencing, etc. 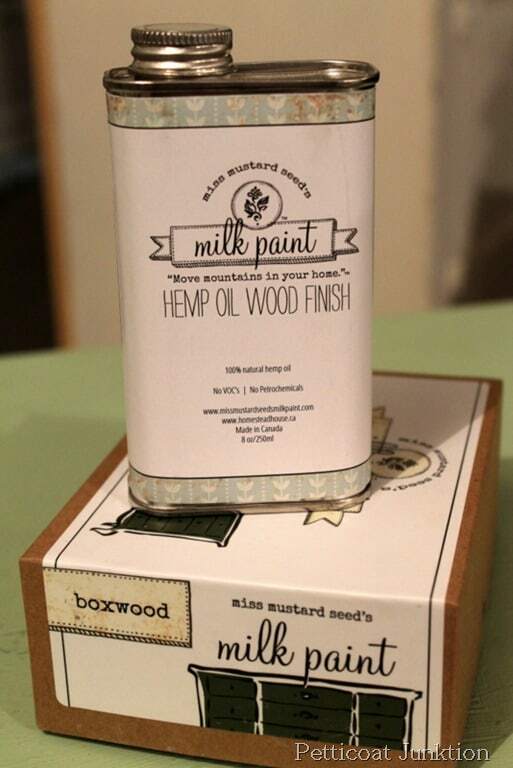 Miss Mustard Seed’s Hemp Oil used on raw or stained wood and Milk Painted surfaces gives a nice water-resistant protective finish. 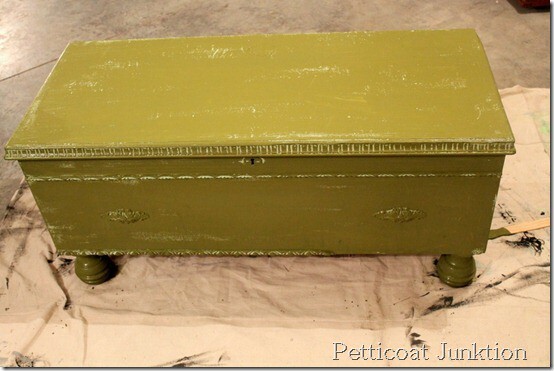 My cedar chest/coffee table ready for the makeover. 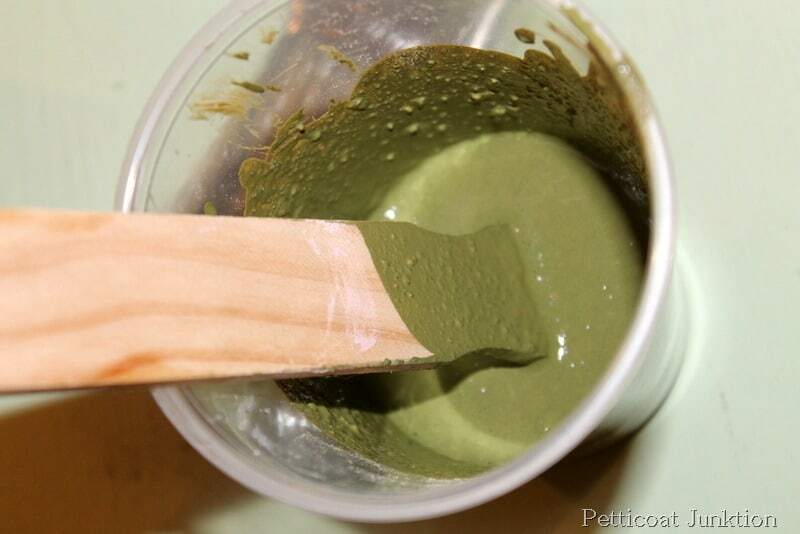 Hemp Oil can also be used as a paint resist. That means when I rubbed a little Hemp Oil in strategic places on the cedar chest before I painted it, the new coat of Milk Paint would sand off or rub off easily where I applied the Hemp Oil. Mix the dry milk piant powder with water when you are ready to start the project. I used ½ cup of dry powder for this project. The ratio of powder to water is 1 part powder to 1¼ part water. Stir the paint for a few minutes then let sit for a few minutes then stir some more. You may still have a few small lumps but they will brush out as you paint. It normally takes two coats of paint but I only used one coat and the coverage was great. 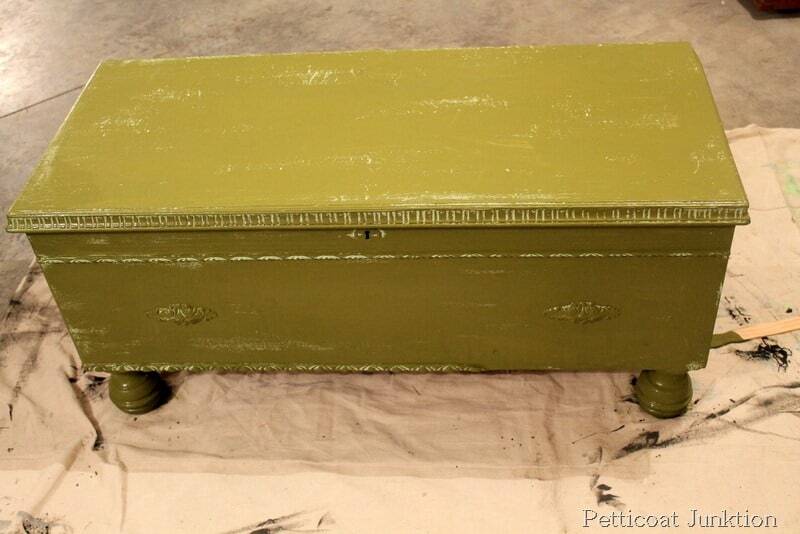 I don’t know if it’s because the paint is dark or because the chest was a pale green to start with. You notice I didn’t cover every bit of the chest. Since I was distressing and chipping this piece anyway why cover every inch and waste paint!! I even had paint left over……I can usually paint 3 or 4 furniture pieces with one box of powder. Of course, it all depends on the size of the furniture. 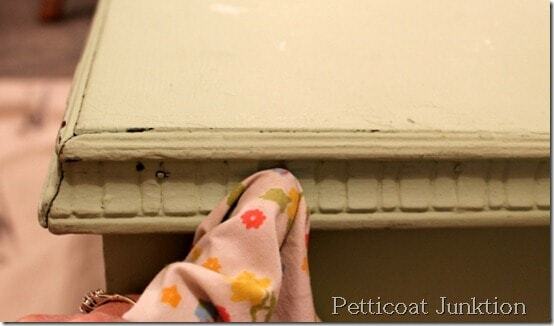 My favorite part of the MMS Milk Paint process is using a paint scrapper for the distressing. Run your paint scraper along the edges where you want the paint to come off. If you want a lot of the paint to come off then get a little rough with the scraper . Do the same thing with the scraper anywhere the paint is peeling or loose. 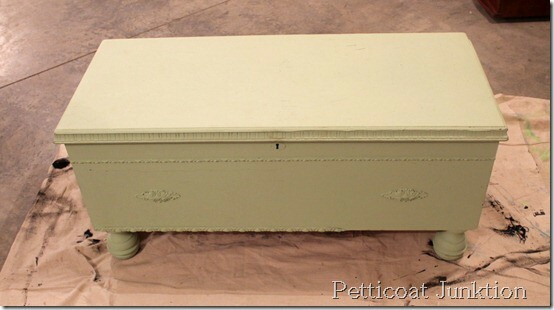 The back of the cedar chest was just straight and plain so I added a little wood detail. I love the feminine details on the front and also the Boxwood color. I think it’s my new favorite color! 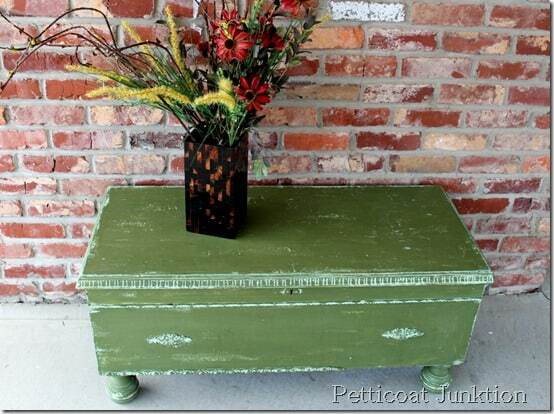 Check out my most popular Milk Paint project here….Tricycle Red Radio Cabinet. Besides hemp oil what else can be used as a resist on raw pine? We make furnishings from pine and I would like to get a chippy look on a new piece. use vaseline, it works great, just smear it on! I love this! In fact, I am redoing a similar piece in a near exact color! I can’t wait to see what it looks like! Love yours as well as the tutorial! Thanks for sharing! Glad you posted this. The color is the exact one I remember my grandmother painting with. 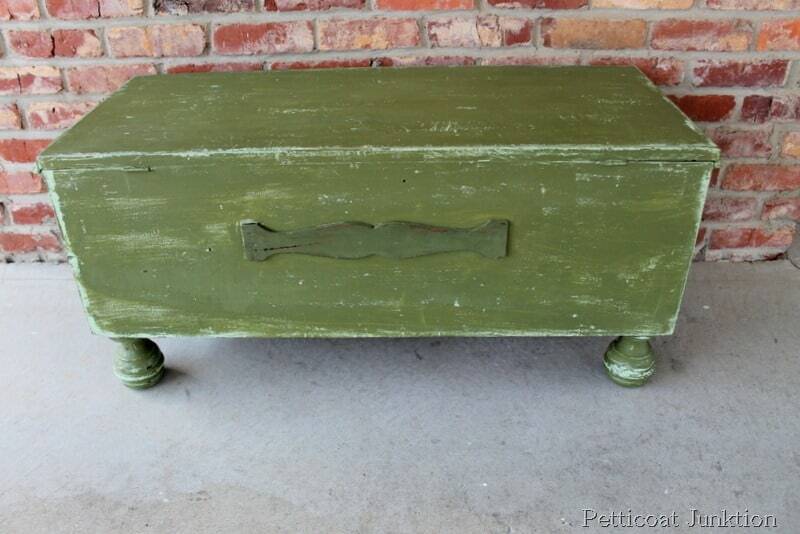 She used to make her own chalk paint and this color just sparked a memory. I will have to do a piece like this and share it with her.